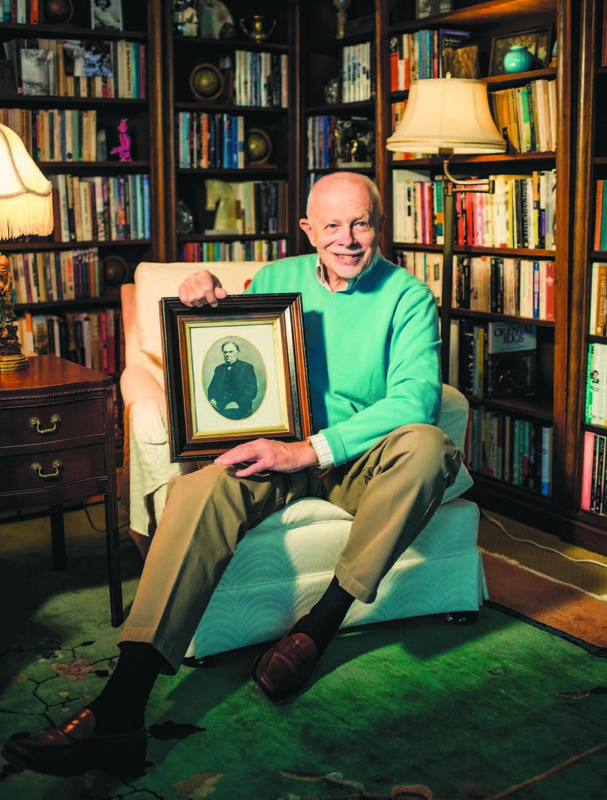 Woolley, a retired college administrator, continues his family’s legacy at Drew with two scholarships; one, the Vivian Chapman Memorial Scholarship, honors his mother. Back in the 1950s we would regularly go to Morristown for first-run movies, and we’d drive by Drew and go look around. I was always told one of my ancestors had founded the college. Through my childhood that was the reference of what colleges looked like. It was certainly a place I wanted to apply. My grandmother and my great-aunt, her older sister, remembered playing in the sand piles when they were mixing cement for Seminary Hall when it was built in 1899. Their grandfather was Thomas Drew Christopher. He, like his father, had been a captain on Daniel Drew’s steamboat lines. The Drew line went up the Hudson to Albany, but also out Long Island Sound, all the way out to Fall River, Massachusetts, out to the mill towns just south of Boston. Roxanna and Mary Eliza were the two Mead sisters, and they married the Drew brothers, Daniel and Thomas. My great-great-grandfather, Thomas Drew Christopher, married Mary Harris. The Harrises were Drew neighbors in the old family farm area in the mid-Hudson Valley, so there were lots of connections. I knew that he was a crook. You’ve heard the Wall Street expression “watered stock”? They’d just print a lot of stock certificates that were not based on the corporate value. Daniel Drew did that with the Erie Railroad stock. So that was really crooked. About 20 years ago I gave the university several dozen family photos, which trace from Daniel and Thomas down through the generations to my mother. Daniel’s photo is by Mathew Brady, as are some of the other family photos taken in the mid-1860s. History has always been an interest. I always was a bookworm. When I was at Drew, we didn’t get into the dining hall without jackets and ties. Women always wore dresses and skirts. It was a real shock to me to come to the University of Rochester, where I got my PhD in history, and discover that a lot of people—grad students, particularly in the history department—were dedicated SDS [Students for a Democratic Society] members. That just was not me.